Is anybody else bothered that they wear the old-school dark red uniforms with new-school bright red underthings? Can't they lock down the whole color scheme? 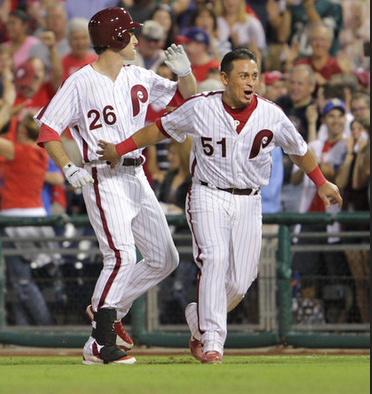 They can dress like the Phanatic for all I care if it means they keep getting walk-off wins! Can they bring back those new uniforms permanently?